Hello everyone! 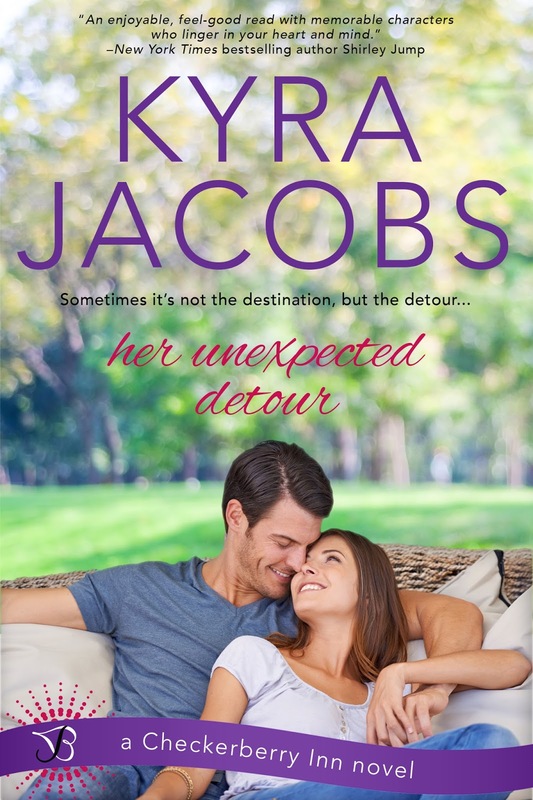 I’m romance author Kyra Jacobs here to share with you a bit about my latest release, HER UNEXPECTED DETOUR (Entangled Bliss, September 2015). While my first two novels were both set in my hometown of Fort Wayne, Indiana, this story primarily takes place a few short hours north in Mount Pleasant, Michigan. The Checkerberry Inn is a fictional bed-and-breakfast based loosely on one I stayed at years ago. It was a grand old colonial, with a broad porch that just begged you sit back and curl up with a good book while watching the day go by. And with it being out in the country, well, peace and quiet was an added bonus. There is one scene, though, that somehow managed to look into my future rather than my past. While Kayla Daniels does stay at the Checkerberry Inn her first night in Mount Pleasant, she’s too stubborn to return there the second night after a tow truck arrives and deems her car undriveable. Instead, she ends up sleeping on the lumpy couch at her brother’s auto shop. Unfortunately, it’s not nearly as glamorous as the inn and involves an uninvited miniature “pet” named Mickey. Sure, I’ve been around mice before, but never quite like that. Karma caught up with me this summer, though, as the cabin our family vacationed at had a pesky (and not the least bit shy) rodent of its very own. And wouldn’t you know, it ran into the building’s lone bathroom ahead of me late one night, just like the one in the story did to Kayla. All right, enough of my ramblings. Instead, how about I share the blurb for HER UNEXPECTED DETOUR and a fun excerpt of Kayla describing her mouse adventures over the phone with her younger brother? 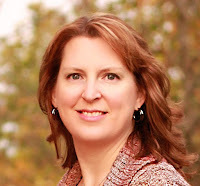 Thanks everyone for swinging by to visit, and for sharing in my release week excitement! “I never made it home, all right? When Jimmy and I got to the Impala, he said no way could I drive it. Something about front subframe damage. All I saw was a slightly crumpled bumper.” She scowled out across the shop floor at her battered car. Stupid ice storm. Kayla gave herself another mental slap. Thanks so much for allowing me to bring DETOUR for a visit today, Laurie!